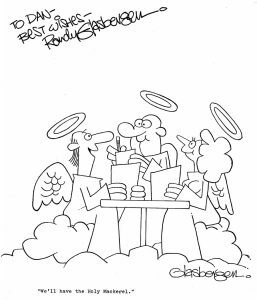 Cartoonist Randy Glasbergen was a favorite of mine. His drawing style jumped off the page at me when I began my quest of studying the gag cartoon market. I think it was his minimal line art style that impressed me, not to mention his level of creative output because I saw his work in a lot of magazines. Mind you, this was the mid 1970’s. I know at the time, I was gleaning several larger nationally circulated magazines and his work appeared in many of them. It was evident he was devoted to the business of cartooning and to his craft. I knew the magazine cartoon market was a prime target for me to try and sell my work or at least test it with some editors. What began as an experiment, turned into a life long love of drawing and cartooning. Doing so would act as a good gauge to determine whether or not I was cut out like other cartoonists who I consistently stumbled upon in all of the various magazines. I had decided to submit work accordingly to various publications I had targeted and many of them were trade journals. These are magazines focusing on a trade or specific business or discipline and unlike national magazines like Good Housekeeping, Reader’s Digest or Saturday Evening Post, they had a smaller circulation. This meant less competition, and ideal for testing my work on. I created a few submissions of various types of cartoons and sent them out. At the same time, I asked some editors if they could send me the mailing addresses of their contributing cartoonists, and for the most part, 99.9% were very willing to help me out. I wrote personal letters to most of them and Randy Glasbergen was one of them. 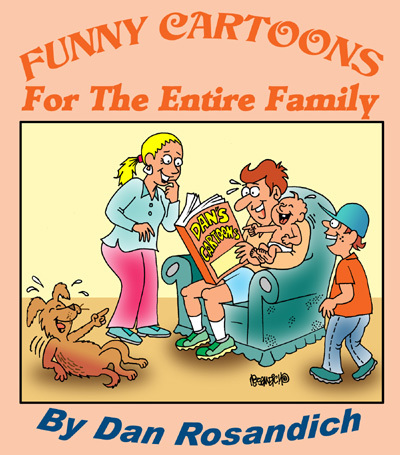 Randy promptly responded with a long letter exemplifying the virtues of cartooning and the business itself. So much positivity about the cartoon world exuded from his letter and it gave me a lot of self confidence in what I could also achieve. I received many other responses and noticed cartoonists saw such potential in the market at that time. There was a lot of positive energy among gag cartoonists and the market for freelancers. When I received Randy’s envelope, I even had a signed original which I will share here in this article. It was a great gesture and if you’re a creative in any way, getting something from one of your peers will energize you. Those were great days from the 70’s and through the 80’s and into the 90’s for gag panel cartoonists. 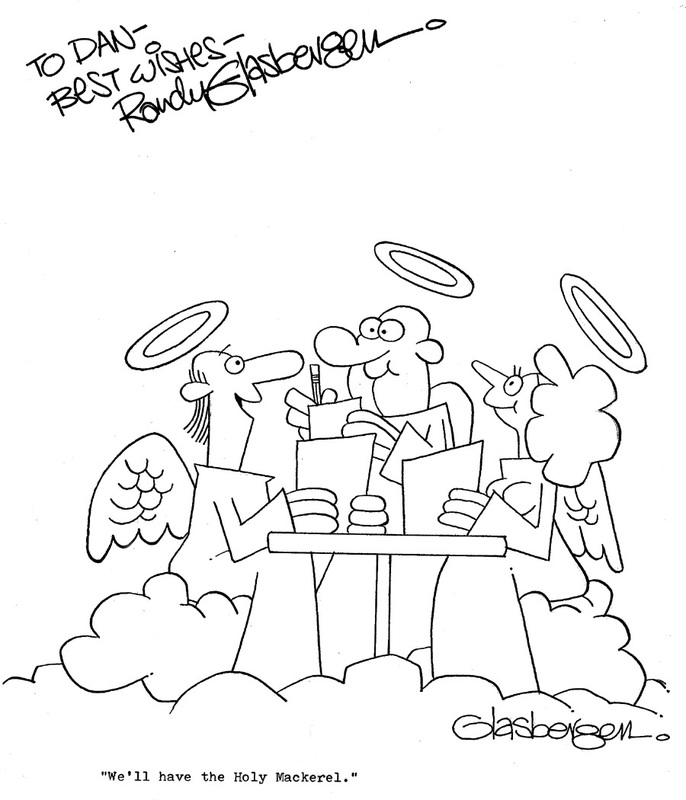 I have many fond memories and kept in touch with many cartoonists, Randy Glasbergen was one of them. I spoke with Randy a few times on the phone and also exchange information on certain markets and editors. Overall it’s a less funnier place without Randy but many of his images will live on through the internet.